AAPA Leadership Program Chairs, Drs. 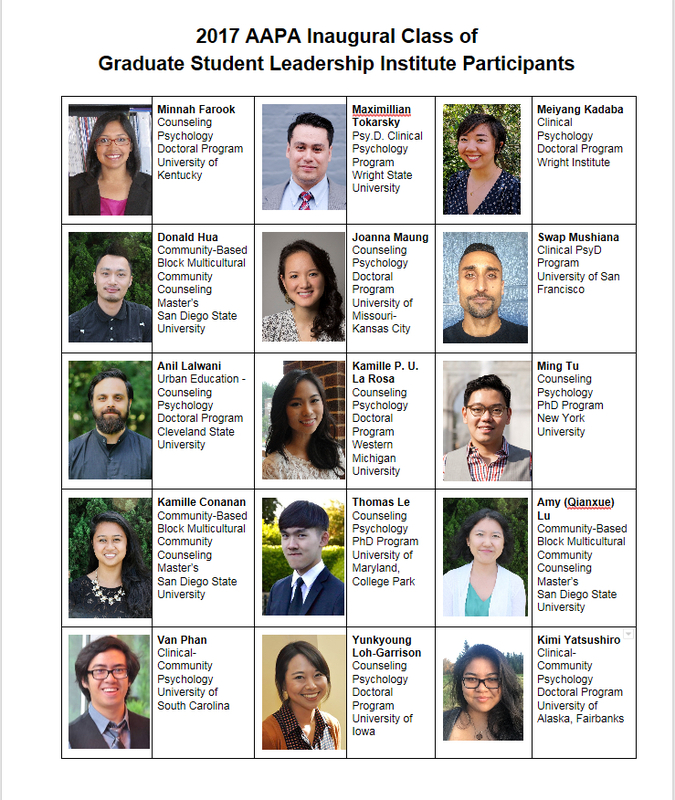 Richelle Concepcion and Nellie Tran are pleased and excited to introduce the Inaugural AAPA Graduate Leadership Institute participants! The leadership institute is an intentional effort to bring AAPA student members together for a 2-day intensive leadership building and networking experience. The Leadership Institute brings individuals together for an intensive period in order to facilitate networking and bonding that will hopefully allow students to continue to work together and support one another. Please join us in congratulating this outstanding group of people! The selection process was highly competitive as we received applications from several exceptional candidates. We strongly encourage folks who’ve sought additional supports and opportunities to engage in work they find meaningful outside of their home graduate programs to consider applying next year. If you have any questions or concerns, please feel free to reach out to Dr. Richelle Concepcion or Dr. Nellie Tran. AAPA would like to congratulate the authors of “Perspectives on Work and Work-related Challenges among Asian Americans with Psychiatric Disabilities,” which has been chosen as the Feature Article of the September 2017 issue. Below is a brief biography of the lead author, Dr. Uma Chandrika Millner, and some reflections on this research experience. We hope that the readers of AAJP will find this Feature and the rest of the issue’s articles to be informative and of benefit to their work. The Feature Article may be downloaded for free here, and the September 2017 issue’s Table of Contents is at the end of this post. Dr. Uma Chandrika Millner works as a Research Scientist at Boston University Center for Psychiatric Rehabilitation and recently joined Lesley University as Assistant Professor. Social justice and multiculturalism form the foundations of her work. 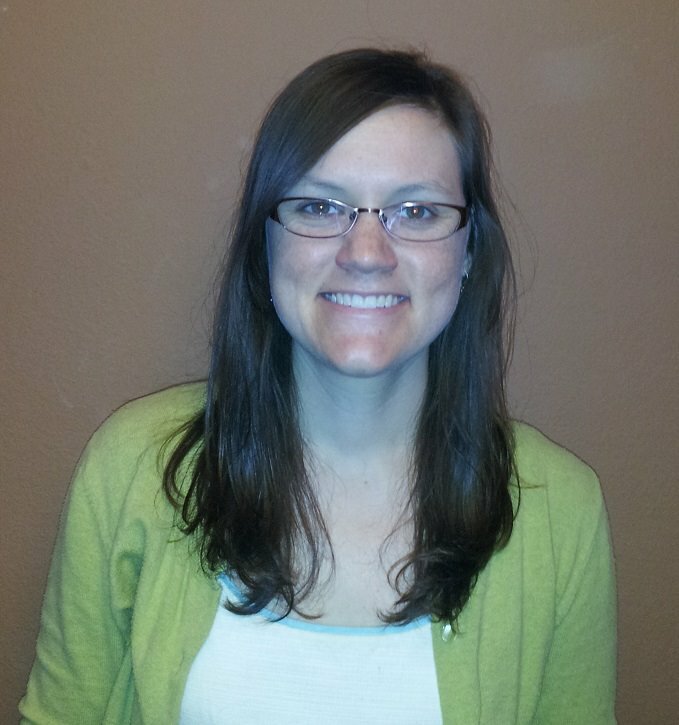 Her research interests focus on the community engagement of diverse groups of individuals with psychiatric disabilities with a specific focus on work and employment and Asian mental health. 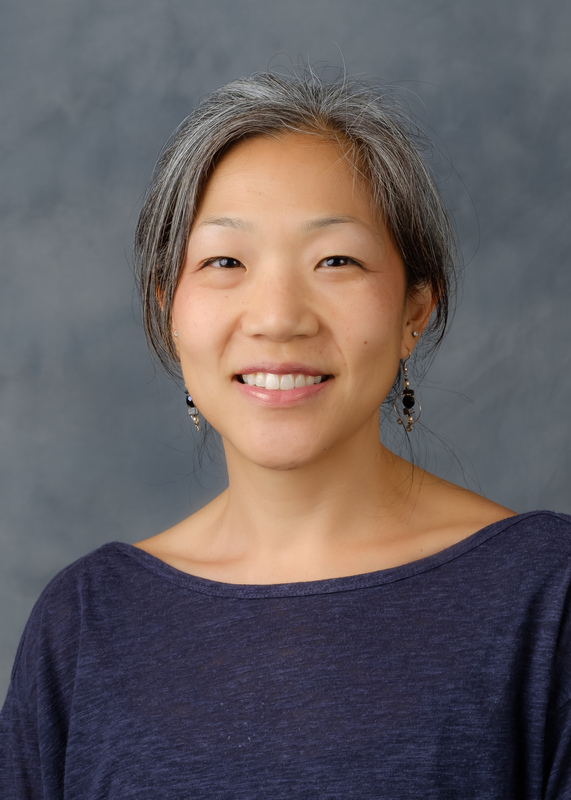 While exploring ideas for his postdoctoral project, Dr. Min Kim first proposed a replication of my Meaning of Work (MoW) study with Asian Americans with psychiatric disabilities. In response, I recall insisting “Let’s make this as simple and uncomplicated as possible.” The MoW study had a complex design combining consensual qualitative research procedures (CQR) with a participatory component. Anyone who has trained and supervised peers in conducting CQR procedures will know how I felt. With large gaps in the psychosocial rehabilitation literature on Asian Americans with psychiatric disabilities, it can be rather tempting to conduct a behemoth of a project. As a researcher from a minority background, it is really hard to resist this temptation. So instead, I insisted on an unambitious study design with a quick turnaround time. We finally agreed on a study that would build on the MoW project and compare the work perspectives of Asian American and White Americans with psychiatric disabilities. However, “simple” turned out to be far more complicated. We could not find a reliable and valid instrument to meet our needs. On top of that, we could not shake the compelling desire to represent the lived experiences of Asian Americans with psychiatric disabilities without which the study just did not seem complete. Hence, the final version of our project evolved to being a mixed methods study that included instrument development, group comparison, and qualitative inquiry procedures. I suppose some lessons in life are not easily learned. To quote Master Oogway (Kungfu Panda), “One often meets his destiny on the road he takes to avoid it.” The art of simplicity is definitely a work in progress for me . Nonetheless, we are very pleased to be able to share our work and bring this project to the next level. Dr. Kim is already developing the instrument further and we are working on plans to address the community integration needs of Asian American individuals with psychiatric disabilities. Latent Profiles of Acculturation and Their Implications for Health: A Study With Asian Americans in Central Texas. Traumatic Experiences and Associated Symptomatology in Asian American Middle School Students. Help-Seeking and Coping Behaviors Among Asian Americans: The Roles of Asian Values, Emotional Intelligence, and Optimism. Searching for Connection—Finding Resolution: A Grounded Theory Analysis of Writings of Korean American Adopted Adults.